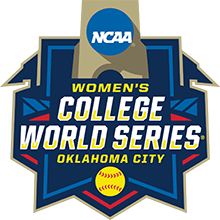 Oklahoma City, along with University of Oklahoma, are proud to host the 2019 NCAA® Women’s College World Series®. Experience It LiveTM May 30 - June 5 at USA Hall of Fame Stadium – OGE Energy Field in the Adventure District of Oklahoma City. Come explore the possibilities in Oklahoma City. Located in the heart of the state, Oklahoma City&apos;s western charm and lively atmosphere create the perfect backdrop for your next vacation. Whether it&apos;s arts and culture that capture your heart, or cheering for the home team, you can create the perfect experience in Oklahoma City. Be sure to experience all the other exciting attractions nearby including; National Cowboy & Western Heritage Museum, Science Museum Oklahoma, Oklahoma City Zoo, Remington Park Racing and Casino, Softball Hall of Fame, Firefighters Museum and the 45th Infantry Division Museum. Explore the Adventure District page for a full list of area attractions. The mission of the Oklahoma City Convention and Visitors Bureau (OKC CVB) is to promote Oklahoma City as a first-class visitor destination. The OKC CVB also helps contribute to the economic well-being of Oklahoma City and its citizens through the solicitation and servicing of conventions and other related group business. We are the in-the-know locals who can suggest where to stay, tell you the best places to eat, and recommend the sights and attractions you don&apos;t want to miss. There&apos;s an excitement in the air in Oklahoma City and we have the enviable job of sharing that excitement with the world, spreading the good news of all there is to see and do in OKC. Created by the Oklahoma Territorial Legislature in 1890, the University of Oklahoma is a doctoral degree-granting research university serving the educational, cultural, economic and health-care needs of the state, region and nation. The Norman campus serves as home to all of the university&apos;s academic programs except health-related fields. OU has more than 2,600 full-time faculty members and 20 colleges. The university is home to one of the most storied intercollegiate athletics programs in the nation. The Sooners boast 26 national championships in men&apos;s and women&apos;s sports, 251 team conference championships and more than 800 All-Americans. Being a Sooner means being part of a tradition of excellence. A Sooner is the neighbor conducting groundbreaking research. A Sooner is the friend creatively pursuing new ways to change the world. Sooners are a family with a legacy of making a difference in everyday lives. We&apos;re your family, your friends and your neighbors. We are Sooners. Click here for more details.